One of James Bond arch enemies Dr No Costume for hire. Perfect for your 70’s themed party. The James Bond villain off which Dr Evil character was based in Austen Powers. 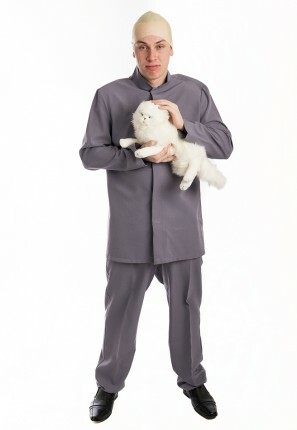 Costume consists of Grey mandarin collar Jacket and trousers. Optional white fluffy cat, bald head cap and scar available.